Back in 2015, Facebook launched a revolutionary new type of ad: the carousel ad. You might have seen them around your news feed. Facebook carousel ads are available on all ad accounts, and we still swear by them. They are responsible for some of the highest Click Through Rates (CTRs) that we see on any given Facebook ad account. 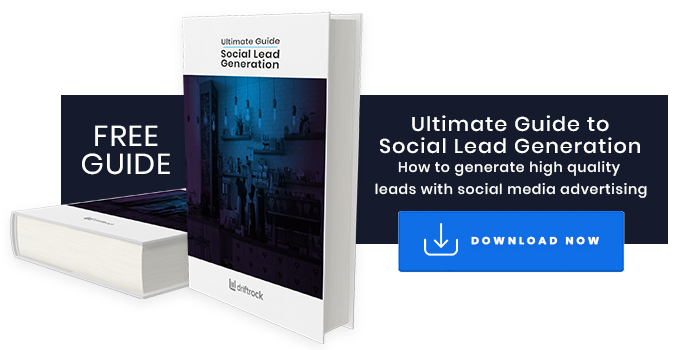 Facebook carousel ads are a type of Facebook ad format that enables advertisers to display 3 (to 10) products or images within a single ad unit. Each product or image has its description and link that takes people to a landing page. It is only available for the news feed, both on mobile and desktop. Mobile users can swipe to their hearts’ content, while desktop users can move between images by clicking on the left or right arrows. Pro tip: Facebook also gives you the opportunity to automatically optimise the images in your carousel ads. You just upload a bunch of features and Facebook will automatically choose the best ones to feature on the ad, based on performance. Easy! What are the ad specifications? And of course, the image cannot contain more than 20% text, or Facebook will not approve/disapprove it. You can use Facebook's grid tool to see how much text your images have. How much do facebook carousel ads cost? Carousel ads have a lot of different places for people to click, so when we first saw them we got all sorts of worries about ad spend and budgets and costs per click BUT Facebook has thought this through. You pay for them like any other ad. CPM, optimised CPM or CPC. If you are optimising your bids/paying for clicks (CPC), Facebook should only charge you once in the first 30 seconds that the ad is displayed. However, after those 30 seconds every click counts as an additional click. So if someone sees your ad and clicks 3 times in the first 30 seconds, you should get charged for 1 click. But if they click 4 more times after those 30 seconds, you will be charged for 5 clicks in total. 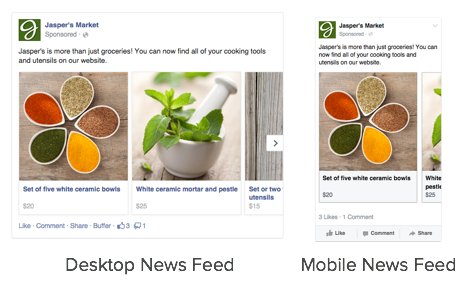 What are the different uses for facebook carousel ads? Yes, we started creating multi product ads as soon as we could get our hands on them. 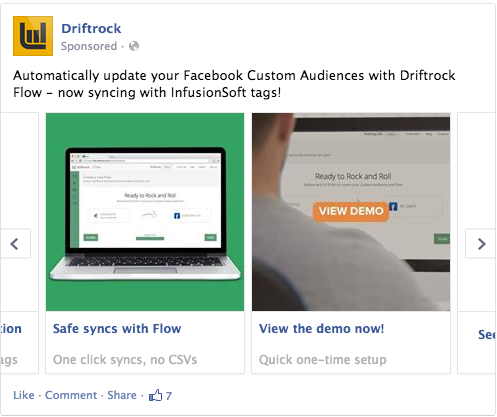 Since Driftrock is a platform with multiple tools, we used the ads to showcase each of the tools in our platform. 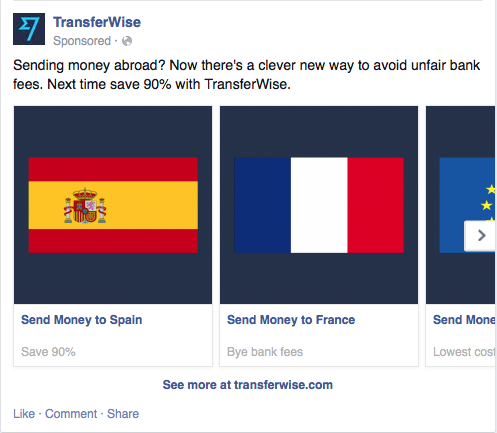 in another example, Transferwise use multi product ads to show the different features of their money transfer service (to different countries). 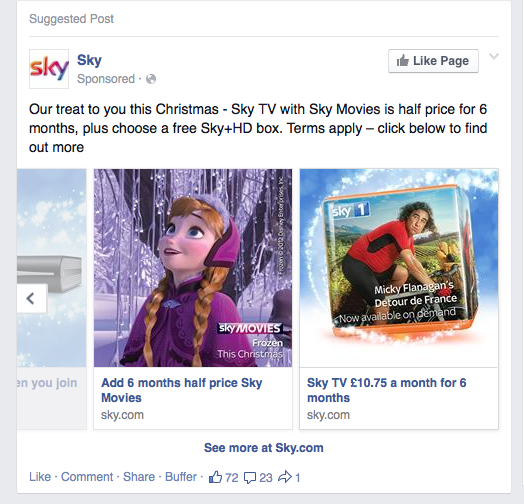 Sky used multi product ads to give their audience some additional insight into their special Christmas offer they were running. 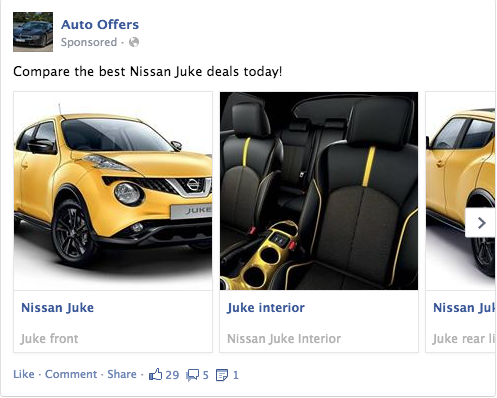 Auto Offers used multi product ads to display the rich images of a product. If you've got it (it being bright imagery), flaunt it! The good ol' killing two birds with one stone. This is probably not best practice, but we used carousel ads in a campaign to promote our automated Facebook Custom Audiences tool Flow. Instead of showcasing just 3 benefits, we decided to go with 2 images showing benefits and one with a 'View Product Demo' call to action, for people who were interested in finding out how the tool worked. Feel free to share any other uses you've seen or tried out, in the comments below! 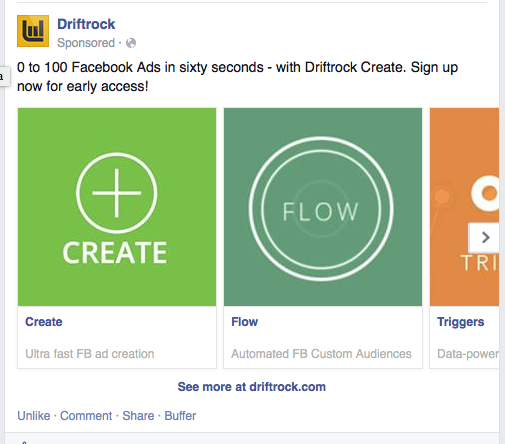 Do Facebook multi product ads actually perform better? 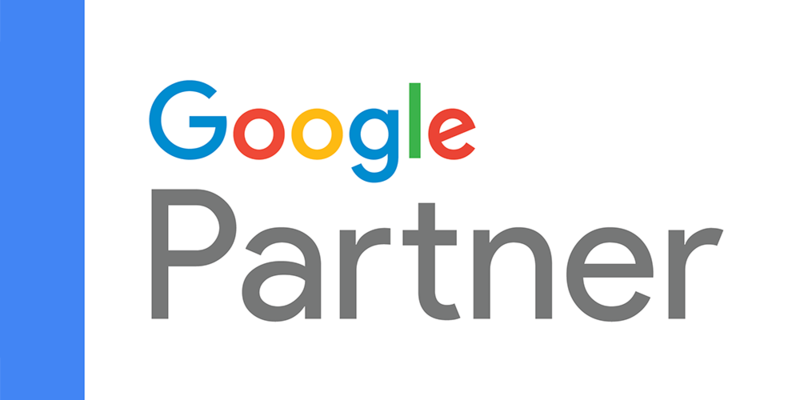 Another question that comes up quite frequently is how much better multi product ads actually are, when compared to regular page post ads. Significant increase in engagement and clickthrough rate (up to 50% higher in some cases), decrease in cost per click - 46% lower in some cases. Higher engagement improves your Facebook ad quality score, which reduces your costs. Pro tip: Keep a close eye on the post click website conversion rates from carousel ads and compare them to your page post ad website conversion rate, if that's important for you (and it should be!). We've found that Facebook carousel ads post click conversion rates can vary quite a lot between verticals, and are not always as good as the Conversion Rates you get with page post ads. However, whichever your business or industry, you cannot afford to be missing out on Facebook carousel ads! Got a question about your Facebook ad campaigns? Reach out below, we're always happy to help!